The subject of the ‘uncanny’ (...) is undoubtedly related to what is frightening—to what arouses dread and horror; equally certainly, too, the word is not always used in a clearly definable sense, so that it tends to coincide with what excites fear in general. The Uncanny is a liminal zone at the outer fringes of our normal awareness. Both repelling and attractive, the Uncanny magnetizes the mind with its potent brew of sublime and horrible, beautiful and obscene, familiar and alien, enchanting and morbid, the ultimate mysterium tremendum et fascinans. For the intellectually adventurous, a signpost of the Uncanny is the blog Bizzarro Bazar. Devoted to all things “strange, macabre, wonderful,” Bizzarro Bazar is a virtual wunderkammer made up of queer collectibles, absurd oddities and twisted curiosities from the history of medicine, anatomical collections, anthropology, tanathology, alternative sexuality, literature, cinema and other obscure sources. The result is a swirling tapestry of eldritch, poignant, otherworldly delights. Bizzarro Bazar is the brainchild project (and nom de plume) of Ivan Cenzi. Based in Rome, Cenzi is a prolific author and eclectic intellectual, Arbiter Elegantiae of all things weird and wonderful. 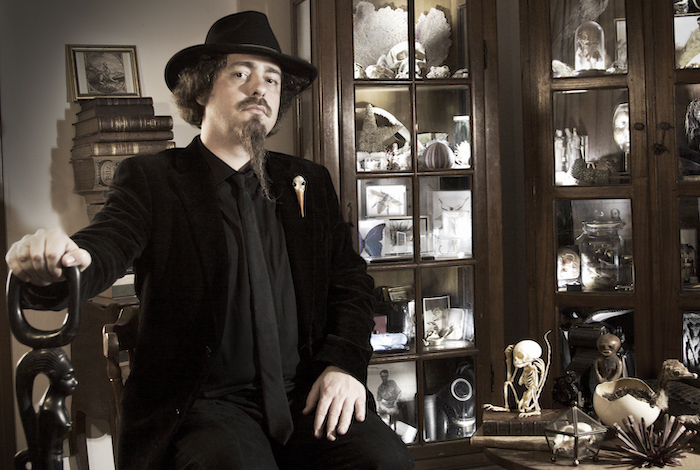 His books, with text both in Italian and English, are devoted to Italy's most unusual anatomy museums, catacombs and charnel houses. With a peculiar mix of erudite poise and eerie playfulness, Cenzi's work articulates the words of JBS Haldane: "The universe is not only stranger than we imagine; it is stranger than we can imagine." When danger or pain press too nearly, they are incapable of giving any delight, and are simply terrible; but at certain distances, and with certain modifications, they may be and are delightful. And so, this is the gift of Bizzarro Bazar: to provide just the right distance from the Uncanny, allowing us to savor its most delightful sides.